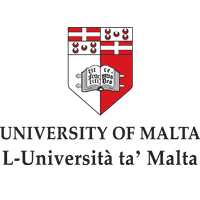 The Faculty of Media & Knowledge Sciences (MaKs) to the University of Malta (UoM) has grown out of the Centre for Communication Technology (CCT) established in 1991 in response to emerging needs for the use of modern media. MaKs’ Department of Information Policy & Governance succeeded to parts of the functions of the Law & IT research Unit established in 1988. MaKs undertakes research and undergraduate and post-graduate teaching in the areas of communications theory, media production, integrated marketing communications, research methodologies, journalism, library studies, archives, information policy & governance especially privacy, data protection. 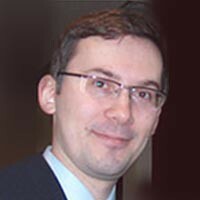 Dr Oleksandr Pastukhov LL.B., LL.M, LL.D., Ph.D.
Dr. Oleksandr Pastukhov is a leading Ukrainian expert in ICT law, academic and government consultant. He moved to Malta to join the Department of Information Policy and Governance in mid 2012. He has strong experience with FP7 projects and is currently the Work Package leader in the EVIDENCE FP7 project. Dr. Pastukhov obtained his LL.B. with major in Private International Law from Kiev Taras Shevchenko University in Ukraine (1997), LL.M. from Northwestern University School of Law in the U.S. (2000), LL.D. from Koretsky Institute of State and Law in Ukraine (2003) and Ph.D. in Law from Catholic University of Leuven in Belgium (2008). He spent his post-doc years at the VU University Amsterdam in the Netherlands and Strathclyde University in Glasgow, Scotland. Dr. Pastukhov is a regular participant and speaker at various national and international fora dedicated to ICT law and policy issues. He is a devoted advocate of privacy, e-governance and media freedom in his native Ukraine and beyond. Dr. Pastukhov is a solo author of a book on digital copyright and a couple dozen articles/book chapters on diverse legal aspects of ICT use and development, trademark protection online, e-government introduction, Open and Free Software development, ISPs’ liability and e-commerce taxation. He has also initiated and administered a number of ICT law-related research, consultancy and training projects in several European countries. O. Pastukhov (2011) Cyber-Terrorism Prevention and Counteraction, Computer Law and Security Review, Vol. 27, Issue 1, pp. 106-107. O. Pastukhov (2010) Ukraine: Electronic Filing of Tax Returns, Digital Evidence and Electronic Signature Law Review, Vol. 7, pp. 114-115. Ciara is Research Support Officer for various FP7 and H2020 projects involving or coordinated by the Department of Information Governance and Policy, Faculty of Media and Knowledge Science, University of Malta. These include for example CITYCoP, CARISMAND, MAPPING and EVIDENCE. Ciara previously worked as a researcher for consultancies, charities and universities for around eight years and continues to undertake applied research for other organisations, such as the National Commission for Further and Higher Education, Malta. Her experience spans a range of subject areas and approaches. Most recently, she worked as a researcher for SERIO, a commercially focused research consultancy, based at Plymouth University, UK. Commissions she worked on came from clients such as the UK National Screening Committee, UK Fairness Commission, Plymouth City Council, Devon and Cornwall Constabulary and Plymouth Culture Board. She also contributed research resources to the Unlocking Potential business support programme in Cornwall. Ciara started her research career working for Liverpool John Moores University, following her BA in Human Geography at the same institution in 2003. There she worked on a HEFCE project researching young asylum seekers in Liverpool and an Impacts08 study of young people’s perceptions of Liverpool European Capital of Culture, whilst also gaining her MA in Research Methodology and Social Policy at University of Liverpool in 2006. 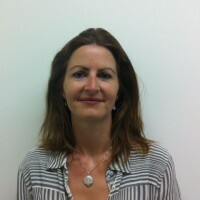 Her voluntary sector research experience spans four charities including Barnardo’s, RNLI, Refugee Action and CAADA.